Home » Why you need a School Management Software for your Institution? Why you need a School Management Software for your Institution? We understand that finding a school management software can be frustrating at times—so much so that school administrators are doing handstands and cartwheels instead of trying to find a school ERP system to meet their needs. They often settle on the school ERP software that offers most of the features they would require rather than having a school management ERP to meet all their requirements and adapt it around the institution’s processes. Some even go the extent of changing their processes in order to get in sync with the ERP for school management and just comes to one thing, spending time finding the right school management system software. You must be checking out all the resources in the world to know about school management system software before buying it. It’s not a decision you make in a flick of a second by listening to someone. There is so much of research done in order to buy and implement the online school management system that suits the best to you. You might be hearing that so-and-so school has just purchased a cutting-edge online school management system. The software ispeachy and connected that does not mean you would just go for it. Do your research, gather information, study it properly and then decide for it. Yeah, we know it would be so time-consuming, hectic but that does not mean you go for anything or settle for something that is not even close to your expectations. 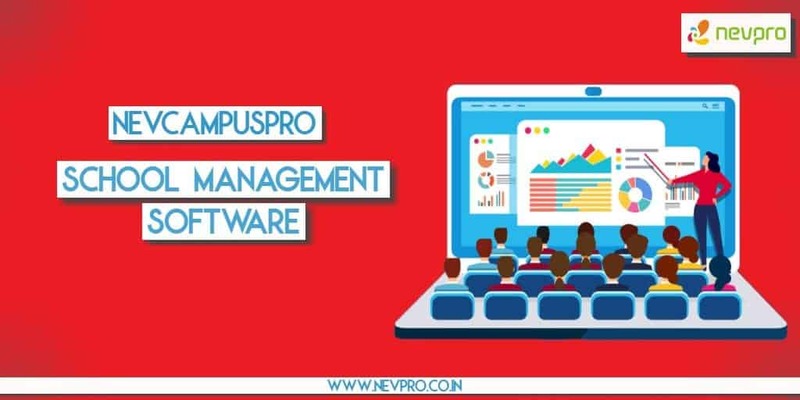 To make the task of hunting for the perfect School Management Software less hectic, we have peeked through hundreds of online school management system and funneled down the major ways Management Software benefits Schools and Colleges. As it goes, Its true that School Management System Software is expensive. Unfortunately, the bigger truth is that its more expensive to forgo ERP for school management. School automation system might not be able to fix structural problems of the institution, but it very much reduces the cost. It increases the efficiency by a very large multiple helping your school gain both short term and long term benefits. How? Well, it’s very obvious that ERP for school management would help you save lots on paper, forget the chaotic paperwork. From student files to applications to report cards, a paper is a major expense of schools. Not only the involvement of paper increase the cost but makes the process more cumbersome. There are chances of losing the data, data management being another big issue. Our Campus automation software works well here increasing productivity, providing flexibility and security of data and saving paper, Yeah, lets go green! Having an ERP for school management simplifies the work. It helps in report creation, data collection and data management easier. Having a multipurpose school management software saves time for productive tasks. Some of the school management systems scales up and could provide you customizability. Similarly, helping you run administer the system the way you want. Parents will be happy to hear that you’re making your school more efficient for students. And with cases where schools are saving millions by just switching to school administration software, the choice to switch is obvious. More? Once you’ve decided that you want school administration software, it’s easy to get overwhelmed with which product to choose. Intuitive and easy-to-use – Teachers find our software a joy to use, and they can’t live without it once they’ve started. Listen for yourself what the teachers have to say. Training – Ask for proper training, and you have it. We provide guided walkthroughs to help you and your team get acquainted with the system. Customized & Flexible– help your school keep up with the rapidly changing technical landscape without any extra effort on your part. Support – We would help you through the implementation phase and also assist you with any technical problems. And lot more. Summing it up, school administration software tends to be a net benefit more often than an expense. With all that said, there are legitimate reasons for schools to hesitate before buying school administration software. Initiate a chat to have someone answer your queries or write to us at [email protected]. Still find it troublesome, leave us your queries by filling this form and we will show you how the software could do wonders for you!